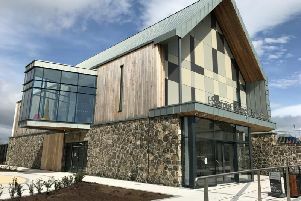 The new Mid Ulster Council has not yet taken control, but councillors are already embroiled in a bitter row over emblems and the Irish language. Last week, the nationalist dominated ‘super’ council, voted in favour of banning the sale of political emblems, which includes both poppies and Easter lilies. Days later, and the new council logo was unveiled with the Irish term for Mid Ulster appearing above the English. Unionists have reacted with outrage, claiming the moves are designed to create a ‘cold house’ for them. They have also indicated they will seek legal advice over the matters. The council have said both decisions have been made as interim measures, until full consultations are carried out.